Women are vastly underrepresented in Congress but research has found they are superior at governing. 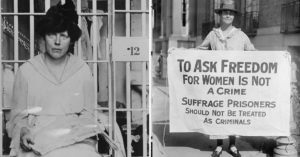 The average American likely knows that there are more men than women in the U.S. Congress, but few realize how vastly underrepresented women truly are, how progress has been stalled for an entire generation, and how poorly the U.S. fares in terms of women's representation compared to the rest of the world. As of 2018, women hold only 20% of the seats in the U.S. Congress. Not only has this percentage barely budged for years, it's essentially akin to the representation of women in Saudi Arabia, a country famous for its poor record on women's rights. On a global scale, women's representation in the US lags far behind many other countries, ranking 104 out of 193 in the world. For some people, however, these statistics beg the question: why is having women in politics so important? After all, they argue, the gender of the person representing you in Congress or the Senate doesn't matter — does it? In fact, it does. Equal representation isn't just about appearances; research has consistently shown a number of differences in the way women govern — and those differences tend to result in big benefits for everyone. The first impact is on the types of bills they support with women being far more likely to push for legislation focused on health care, education, civil rights, and poverty. One study in the American Journal of Political Science that examined who sponsored which bills in Congress found that female legislators are more productive overall than male members of Congress, sponsoring and co-sponsoring significantly more bills. Moreover, the bills sponsored by female legislators were far more likely to address a wide range of issues affecting children and women, such as women’s health care coverage, child care, sexual harassment regulations in the military, and the inclusion of women in medical trials. Beyond the obvious benefit of enacting more legislation focused on improving citizens' health and well-being, there are other tangible benefits to women playing a larger role in our nation's governing. Significantly, studies have found that countries with more women in positions of power have lower rates of corruption and bribery. Earlier this year, researchers Chandan Jha of Le Moyne College and Sudipta Sarangi of Virginia Tech published an analysis of data from 125 countries and found that higher representation of women resulted in lower rates of corruption, at all levels of government. Contrary to the belief that this difference was a result of having "less access to the 'old boys network,'" Sarangi says, "[w]omen in high gender-equality countries are still less corrupt" — suggesting that it is women's role in policymaking that keeps corruption low. Women bring another advantage to governing that is of special importance in a legislative landscape where extreme partisanship has made Congress highly dysfunctional — women in charge have the potential to actually get the job of governing done. Women in Congress are more collaborative than men, and willing to work across party lines to find common solutions. As Michael Genovese, an expert on gender and leadership at the Institute for Leadership Studies, explained, “Women share their power more; men guard their power." In describing her experience in the Senate, Senator Kirsten Gillibrand of New York added that she found "women tend to be less partisan, more collaborative, listen better, find common ground." Ultimately, for the country to realize all of the benefits that women in power can bring, their representation needs to be sufficiently high so that their bills and their opinions cannot be sidelined or ignored by their male colleagues. This Election Day, there is a historic opportunity for change with a record-breaking number of women running for office at every level. 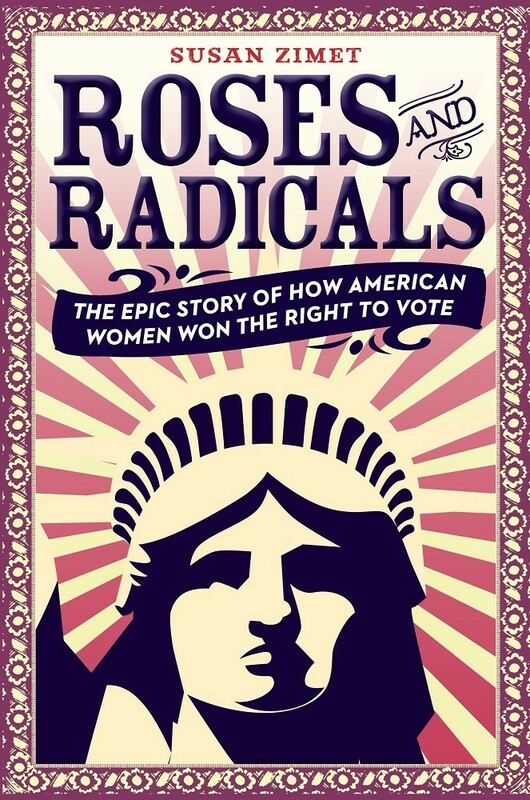 According to the Center for American Women and Politics, 235 women won nominations for U.S. House races, breaking the 2016 record of 167, and 22 women won major-party nominations for the U.S. Senate, breaking the 2012 record of 18. The momentum has also carried over to the state level, where 3,379 women have won nomination for state legislatures, breaking the 2016 record of 2,649. As Emily Cain, executive director of Emily's List, recently observed, "This isn't a wave. It's a sea change." You can be a part of this change by voting on Tuesday. As Jeannette Rankin, who became the first woman to serve in the U.S. Congress when she was elected to the House of Representatives in 1916, asserted long ago: "We're half the people; we should be half the Congress." The time is now for women's voices to be heard. To find your polling place, visit Vote.org. 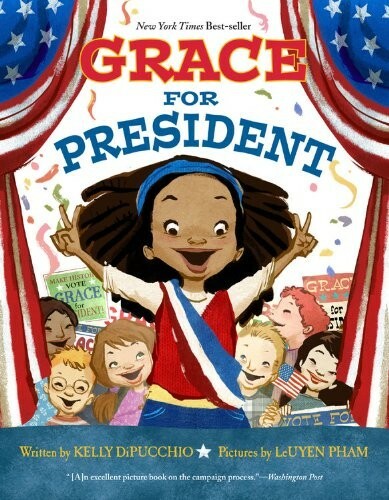 The little girl from My Name Is Not Isabella is back, and this time, she's urging her parents along through the morning of a very special event! Unfortunately, in her family's democracy, a two-to-one vote says she still has to eat breakfast and brush her teeth. 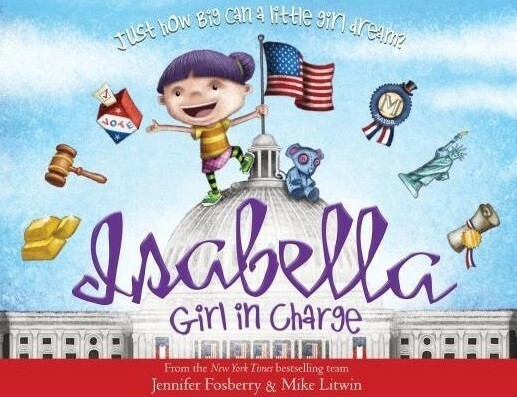 But as she campaigns her way out the door, Isabella pays tribute to women who were the first to hold a variety of political offices in a celebration of women in American politics. 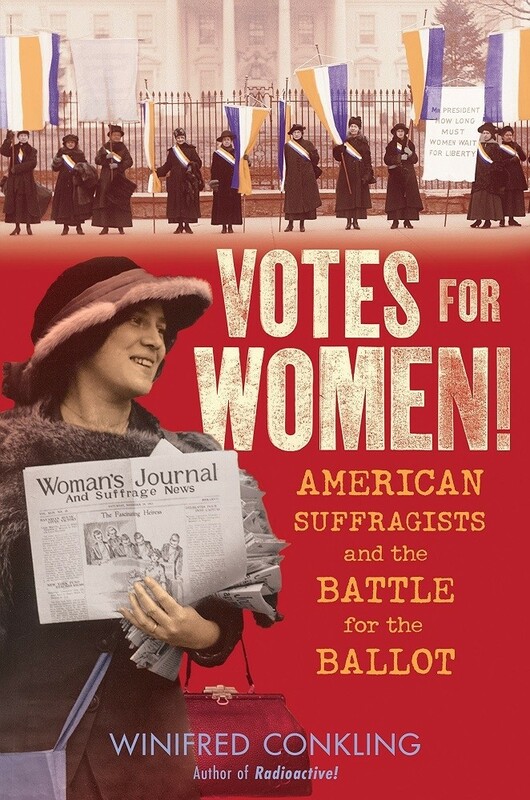 Featured women include the first female mayor, Susanna Madora Salter, the first female governor Nellie Tayloe Ross, the first woman elected to Congress Jeannette Rankin, and the first female Cabinet member Frances Perkins. 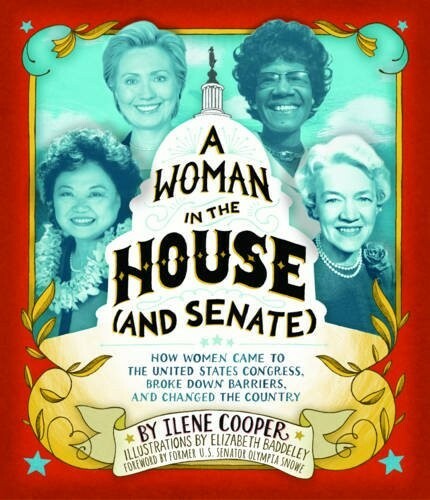 Beginning with the women's suffrage movement and going all the way through the results of the 2012 election, Ilene Cooper deftly covers more than a century of U.S. history in order to highlight the influential and diverse group of female leaders who opened doors for women in politics as well as the nation as a whole, complete with lively illustrations and archival photographs, as well as a glossary, index, and chart of all the women who have served in Congress. 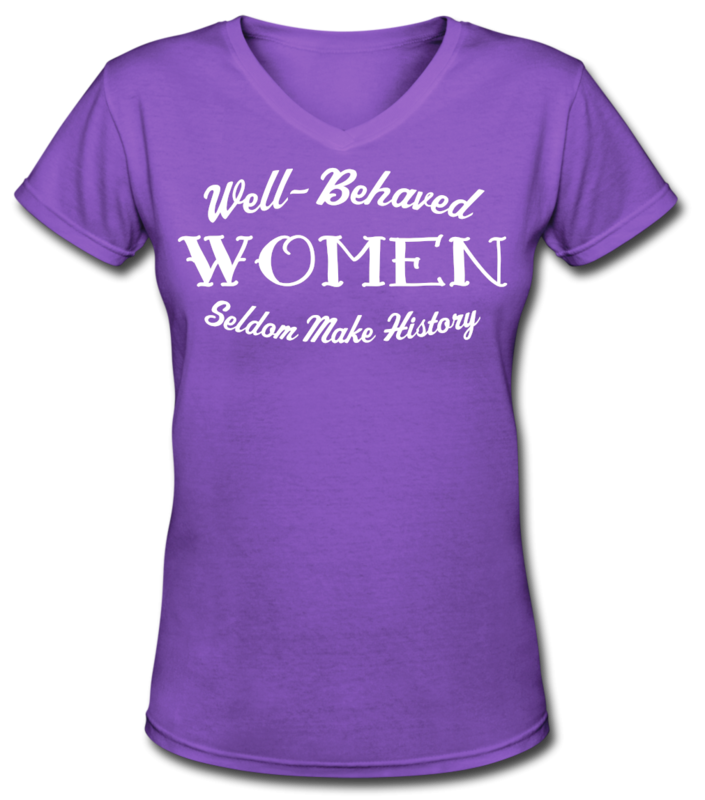 It's a great way to introduce tweens and teens to women in the broader political world.